If you are an IDX Broker client as many of our readers are you may have noticed that your plugin has recently been renamed IMPress. Since IDX Broker purchased Agent Evolution last year they have been relentless on their pursuit to add new and innovative features to their already robust product. That we were huge fans of. This plugin allowed you to build a non IDX home search, supplement your IDX search with sold listings, or FSBO listings, and create Single Property Websites for your listings. That we were also huge fans of. This plugin allowed us to easily build beautiful agent, or team profiles. When they created their own theme, called the Equity Theme, you could no longer use the Genesis Agent Profiles plugin. That was a bummer. What IDX Broker and Agent Evolution have done is created the IMPress suite of plugins. The IMPress plugins all work together and are designed to integrate smoothly with one another, with IDX Broker Platinum, and with the Equity Suite of Themes. This is great news as it gives the real estate agent more features, and is easier to use and adapt. IMPress for IDX Broker is the primary plugin that allows us to pipe in the IDX Broker MLS feed directly to an agent website. It is the focal point of the suite of plugins and the only one that costs. 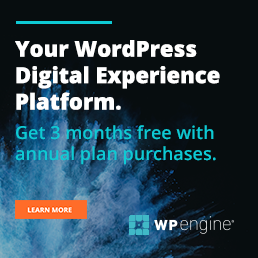 You can read more about this plugin and a few other of the Best IDX Plugins For WordPress, I have previously written about. This plugin was formerly called IDX Broker and quite honestly was not a great plugin. They completely overhauled the plugin and now it is pretty awesome. So, how did a not so great plugin get to awesome? A few years back IDX Broker released IDX Broker Platinum or Pt, this was the start. When they overhauled their entire system they created the plugin as an integration or a part of the complete service, as opposed to an after thought. IDX Broker hosts all the IDX data on their servers. All the widgets, links, maps, and forms are hosted on the IDX Broker server and we need to get that data onto a WordPress website cleanly and easily. The new IMPress plugin allows us to do that. Having the IDX hosted on the IDX Broker server is sometimes painted as a negative by the competition… but I see it as an overall positive. Their servers have been a trusted source for data by Google, Bing, and Yahoo for many many years. The IDX data does not clog and slow down the already overworked SQL database that runs your WordPress website. They have the ability to monitor, test, and quickly change any misinformation in the IDX feed. 1 of the negatives of having the IDX on a different platform was you had to login to a different place to view leads and lead management… However they addressed this issue in the latest update. You can now view both your new Leads and new Listings from your WordPress Dashboard for both the day and the month. You will still need to login to your IDX Broker Pt account to create custom links and custom widgets, but otherwise everything else can be done with the plugin. A quick search bar that is light, clean, and easy to use. You can set it up so your visitors can search by school, Subdivision, type, new construction, city, county, postal code, address, listing ID and more. As you can see above the widget utilizes autofill to speed up the query. Easily add new widgets to pages and posts with a built-in short codes tool in the text editor. Activating the plugin and styling the IDX Broker server pages to match your website used to be a pain in the HeeHa. Now it is as simple as adding the API key they send you and choosing a name for your global wrapper page. If you combine this plugin with IMPress Listings you can import your featured listings into your WordPress dashboard. You no longer have to manually enter your properties! If you combine this plugin with IMPress Agents you can import your team into your WordPress dashboard. You no longer have to manually enter your agents data! Add a full-sized map search widget to ANY page on your site. Create your own custom polygon searches with your IDX Broker Platinum account and allow visitors the ability to search within popular neighborhoods in your area. What has made the IMPress IDX plugin so great is much more than just the plugin being overhauled. It is the integration that was built in from the ground up. All working together to give a seamless user experience. We mentioned WP Listings above as a plugin we really enjoyed. IMPress Listings is the 2.0 version of that plugin. The same great plugin only now it is designed to integrate smoothly with IDX Broker Platinum, IMPress IDX plugin, and the Equity Framework. The real power of this plugin for me is that the end product is essentially a Single Property Website. What’s New in IMPress Listings 2.0? If you combine this plugin with IMPress Listings you can import your featured listings into your WordPress dashboard. This is the coolest thing… before we would have had to manually re-enter all the same data that we had already put into the MLS to get this plugin to work. What a pain. Now we just click a couple of buttons and viola your featured listings are all entered in. If you combine this plugin with the Equity framework and IMPress for IDX Broker you can import full listing details. Simply enter the property’s latitude and longitude and a map is automatically added to the listing page. If you have the IMPRress IDX Plugin the longitude and latitude are added for you. They added more property fields including country, half baths, garage, plus many others. Simply check a box and the price is hidden, if you don’t want to show the price on a listing. Of course the plugin works smoothly with the Equity Framework but they also added functionality to adapt better to any theme you choose. 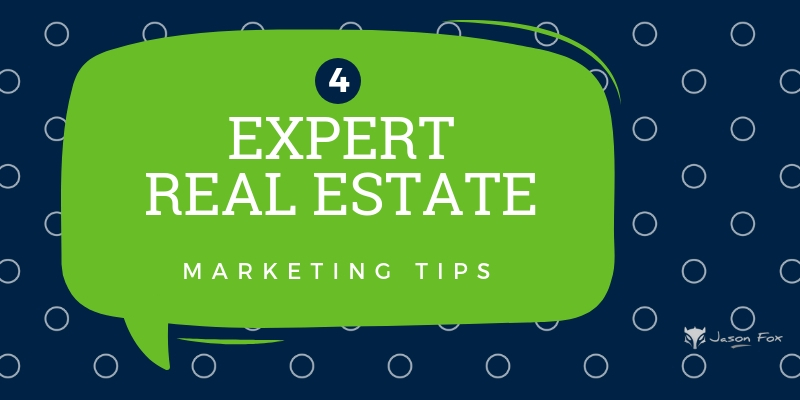 Save time by adding a contact form to all listings instead of one at a time. We mentioned Genesis Agent Profiles above as a plugin we really enjoyed. IMPress Agents is the 2.0 version of that plugin. This may sound familiar but it is the same great plugin only now it is designed to integrate smoothly with IDX Broker Platinum, IMPress IDX plugin, and the Equity Framework. IMPress Agents provides you with a full employee directory, for Brokers, Real Estate teams and offices. What’s New in IMPress Agents? Unlike its predecessor, “Genesis Agent Profiles” this plugin will work with the Equity themes. If you combine this plugin with IMPress Agents you can import your team into your WordPress dashboard with just a couple clicks. Although, depending on the MLS and how much data they have you will probably need to add more profile data. You can easily enter in as much or as little profile information for 1 or 1000’s of agents and the plugin will format it to look beautiful on WordPress. IDX Broker and Agent Evolution have been working real hard to keep up with the Joneses. And the IMPress Suite of plugins has pushed them back up to the top. If you have not used IDX Broker in the last year or so… you have not used IDX Broker. They broke the mold and rebuilt their platform from the ground up. Starting with the Core IDX product which they now call IDX Broker Platinum. Building a Theme Framework that integrates smoothly with the IDX Feed called Equity. Redeveloping the IDX Broker Plugin to make the plugin more powerful and easy to use called the IMPress IDX plugin. Redeveloping the WP Listings Plugin to integrate with the IMPress IDX plugin, IDX Broker Pt, and the Equity theme called the IMPress Listings plugin. Redeveloping the Genesis Agents Profile Plugin to integrate with the IMPress IDX plugin, IDX Broker Pt, and the Equity theme called the IMPress Agents plugin. To many improvements were made to the whole of the products to mention them all. Perhaps you should give them a try. I don’t think MLS updates once per day “pushes them to the top”. Not by a long shot. Especially when there are other providers that do it every 15 minutes, 6 times a day, 4 times a day, etc. IDX Broker is like the DOS version of today’s computer. Antiquated to say the least! I’m not impressed with IDX Broker. And when I talked to them 2 months ago, they had no idea when they were going to create an IDX that pulled info from our MLS more than once per day. (They were “working on it” and yet had no completion timeline.) And you can’t add sold searches and/or listings. And adding a FB widget costs extra. And if I want to post my new listing to FB via my website, I have to wait 24 hours after I enter it so that IDX Broker has the update. Every other website has my new listing within hours, except mine. I’ve not been impressed with it since day one. Wish my Web guy had given options on other IDX providers when building my site. Now to change to one that updates multiple times a day, is an additional $1000 to the web designer. Maybe I’m missing something here, as I completely disagree with your glowing review. Debi, Thank you for stopping by and sharing your experience. I can understand how this may seem like an antiquated system. The problem is that IDX Broker is powered by over 700 different MLS’s and each one has its own funky technology. This is not something that they take lightly and it is there current priority number 1. They have already updated a few of the MLS’s that had the trickiest data to handle and all tests have been successful. They have a second sample group they are starting on and once they are updated they will begin the complete roll out. They will be launching 10-50 new MLS’s a week at that point. I personally have worked with most IDX services and plugins that are available and have talked with clients of most of the others. What I have learned over 10 years of building IDX websites is that the most important factor is that data is correct and accurate. You get that with IDX Broker, and not many others. I have chased the shiny object IDX providers in the past and I always get burned and end up back with IDX Broker. As for adding a FB widget for a cost… I am assuming you mean the Facebook Tab feature that is available with the Platinum version and not with the Lite version. It is true that you get more features with the IDX Platinum than you get with the IDX Lite version. At $39 month for the lite version this is as cheap as any IDX provider and even when you upgrade to the platinum version they are competitively priced. Hope this helps shed some light on my opinion. I am running across a lot of themes that say they integrate with the dsIDXpress plugin which has pretty bad reviews on the WP Repository. So, I would rather use the IMPress system but I can’t seem to find any answers as to how well IMPress will integrate with any Themeforest theme. I am going for a specific look for a realty team and the themes that look right, only mention dsIDX as an option? Impress works with all themes.